Let us help you discover history in a whole new way. Nothing brings life to learning like a hands-on history box full of stories, crafts, and more, delivered to your door! 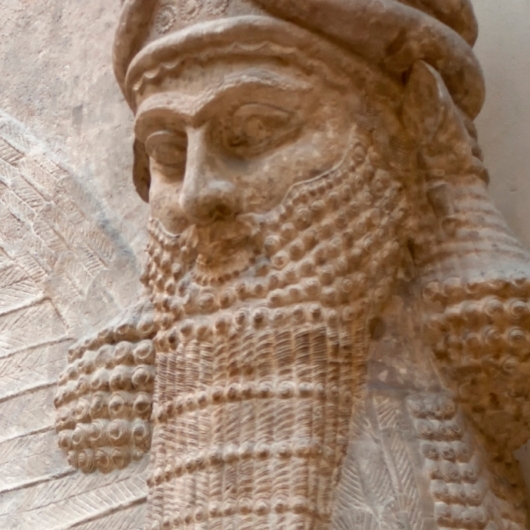 Immerse your students in lessons that bring the cultures, peoples, and eras of human history to life! Stories, objects, recipes and more from far-off centuries and continents bring learning well beyond the classroom. Your student will benefit from hands-on activities that bring the lessons to life and greatly aid retention! Watch as your child paints, assembles, builds, flies, cooks, colors, and weaves their way into the eras and cultures of each box. 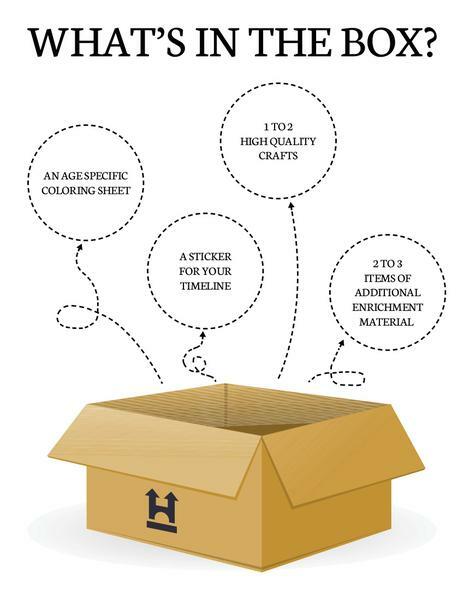 Each box contains everything you need to complete your crafts, plus pages of instructional material representing hundreds of hours of work from professional historians, artists, and educators. For the Ancient and Middle Ages timelines, the box you receive will depend on the month, and all subscribers will receive the same box that month—great for collaborating with friends who are also subscribers! For the American History timeline, boxes arrive according to a set sequence, so as to build the story of our nation chronologically. 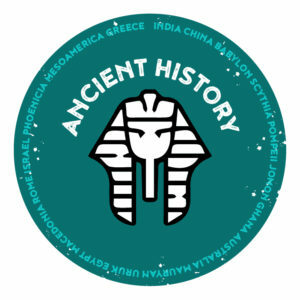 Our Ancient History Timeline spans from 5000 BC/BCE to 400 AD/CE. Learn the History of America and gain a new appreciation for the people, events, and cultures that formed our great nation! This is our newest timeline, and is still being added to! Start with the three major cultures that came together in our beginnings (Africa, Europe, and Native American) and then learn about colonial life, the Revolutionary War, our Constitution, and more. Each history box is tailored to one of three different age groups, to keep the materials engaging for everyone! An in-depth, relatable version of the subscription that can be completed mostly independently. Learn about the past through the eyes of a teenager and enjoy memorable crafts, recipes, stories, and mementos. Relax and become inspired with a monthly history fix as you try your hand at a wide variety of crafts, historic recipes, and history based games. 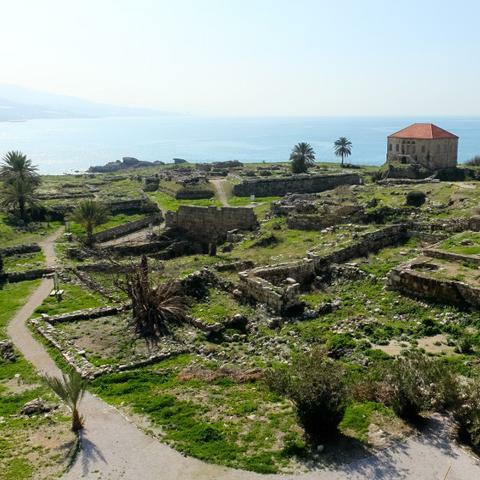 Bite sized bits of history fit into your busy schedule and provide you with fun information you will want to share with your friends. Hi! I’m Elizabeth. Small business enthusiast, creative force, and mom to 6 excellent children. As a child I volunteered at a living history museum and went on to co-direct the educational programs there as an adult. I also have home educated my own children for the last eleven years and taught at a local co-op for two years… so the idea of bringing hands-on history enrichment activities to your family is both very natural and very exciting for me! Thank you for supporting my family business and allowing me to share the learning that I love. Hi! I’m Stephanie. My passion for history began at an early age, sparked by my Felicity doll and books. In college, I majored in history, and then went back to school for a Master’s Degree in Elementary Education. I spent eight years in various classrooms: a Montessori preschool, substitute teaching every grade K-12, and finally two years teaching fifth grade. I worked on the farm at a local historic home, educating the public about farm life in the eighteenth century. I also do living history as a hobby and dabble in spinning, weaving, and homesteading. I’m now a mom of two little ones of my own, and plan on homeschooling both of them. My name’s David, I’m 49 and work as a computer programmer and freelance artist. I’ve always enjoyed comics and art in general, and history is one of the things I enjoy reading. It’s been really fun to learn about a new piece of history each month and watch as my two sons get excited over what I’m drawing.